.U-rail clear transparent nylon hangers weight capacity 10KG OR 15 LB per cable & with 2 cables you can hang 15KG or 30LB pictures. For heavier pictures you can use U rail steel cable. This clear cable also called perlon. Use one U rail cable in the middle of picture with 1 Smart mini Hook to hang up to 10 kg Picture up to 2X2 Feet. 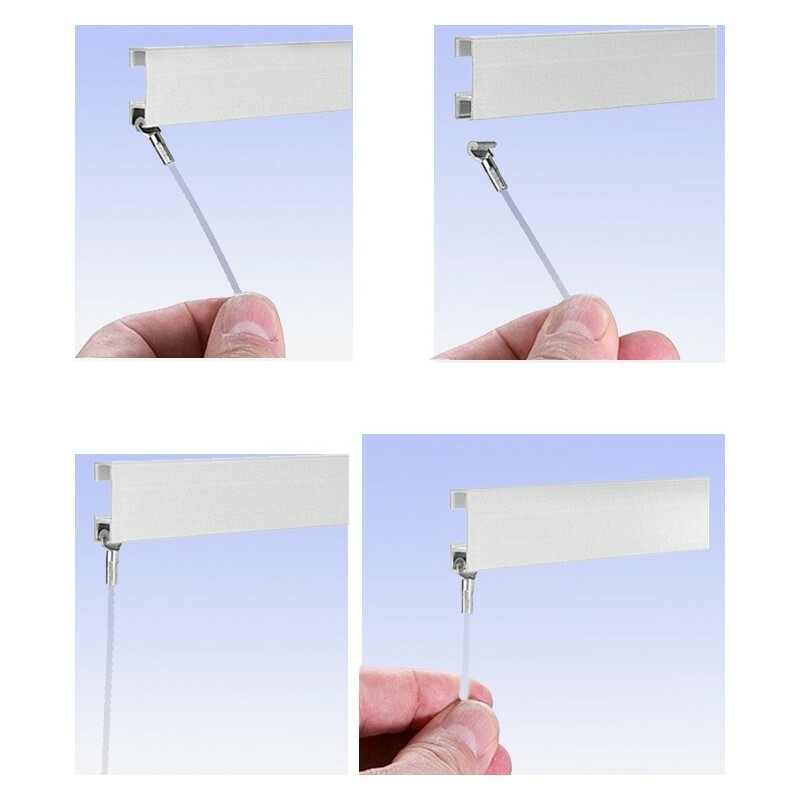 Use 2 Urail cables one left one right of picture with Zipper hook to hang up to 15 kg OR 30LB Picture up to 6X4 Feet in size.